While evaluating Backup solutions in my Homelab I recently came across a relatively new vendor, NAKIVO, that caught my attention. NAKIVO, founded in 2012, is currently the fastest growing VM-Backup company and its product is highly optimized for virtualized platforms. I was looking for solution that is easy to deploy and does not require much resources. 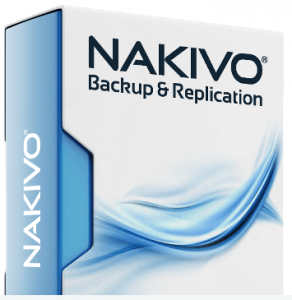 NAKIVO Backup & Replication is mainly fround in the SMB market today, but they have some great enterprise grade features like multi-tenancy and a customizable user interface in the latest release. If you have ESXi running on a flash media (USB flash drive or SD Card) you might want to create a ready-to-run backup of your host. This posts describes how you can create a backup of your ESXi hosts and create a media with an identical configuration where vicfg-backup is not a solution. After deploying the new vSphere Data Protection virtual appliance i faced an issue with the login. The root password was neither mentioned during the installation video nor in the quick start guide. I found the password in the administration guide. A new Features called zero-downtime migration allows vMotion without shared storage. There are many great features like zero-downtime migration, vSphere Replication or the VSA enhancements for smaller environments. I am also looking forward for the new Avamar backup solution which replaces the VDR, which is effectively useless in larger deployments. The new Orchestrator workflow design might make the product more popular. Veeam has recently published a new version of its Backup Software: Veeam Backup & Replication Version 6.1. The last version I evaluated was around 2010. Back then it was definitely a great tool, but as my main environment is Linux based and veeam was lacking some features there I decided to stick with my old backup strategy. Today I want to renew my view and test their current product. Please note that this review is focused on backing up Linux guests. Nevertheless if you are a Windows Admin, feel free to read on if you want to know why it sometimes could be a pain to backup Linux guests with VMware. The first thing I am going to do is to just download the software and check out how intuitive the installation and configuration process will be. Later I am going to dig deeper into the functionality. Before we can start the installation we need to download the software. Downloading is very easy as veeam only provides one package, so the only decision is whether you need the 32-bit or the 64-bit version. 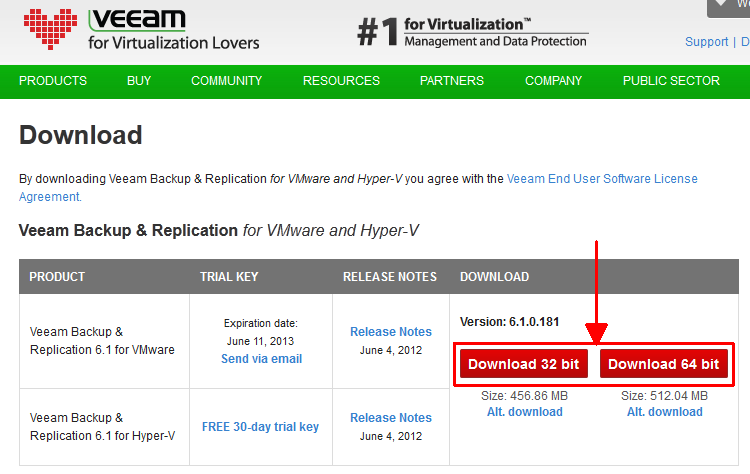 Go to www.veam.com > Products > Veeam Backup & Replication > Download and select your architecture. You need to register to download anything, but it is free and quite quick. Veeam refers to the "Enable VMware tools quiescence" option. But is this true? Yes, there is this option and you can enable it. But the vmsync driver inside you virtual machine is disabled by default. So if you activate "Quiesce", nothing actually happens. The backup succeeds but all you get is an inconsistent state. The solution Quest provides is only a small hint: Install VMware Tools, create freeze Scripts and enable Guest Quiescing. But who will support my custom script? PHD Virtual does not provide any information about consistent linux backup. The only thing i could find was a note "Quiesce? Windows only!" So, how to create a filesystem consistent linux backup with veeam, vRanger or PHD virtual? As every vendor is doing the same -triggering the VMware API- the answer is identical. But first let's have a look at the basics. What do i have to do to get a consistent state? And how can i determine that my backup is consistent? [8.058018] EXT4-fs (dm-0): re-mounted. Opts: errors=remount-roThis test was made with the current Ubuntu 12.04 LTS. The fsfreeze command suspends and resumes the access to an filesystem. After suspendig the access, the volume is in an consistent state and can be copied. Please note that fsfreeze is a recently published tool and not available on older systems. During backup the backup client triggers the vCenter server to make a snapshot with the "quiesce" option. This involves both scripts to freeze and unfreeze the write IOs on the filesystem during the snapshot creation. This comment emphasizes that this feature is not supported at the moment. I also couldn't find this Knowledge Base details. After activating vmsync and "quiesce" option in your backup client you can create consistent backups. I have tested both solutions in testing environments with Ubuntu 12 and RHEL6 systems and was able to create consistent backups. But please note that this is not supported by VMware or any Backup Vendor. So please test it out before you roll it out into production.